Energy Efficiency investments pay back steady returns over many years, but often it is difficult for businesses and households to pay the upfront costs. Many in the energy/environment field are more comfortable talking about efficiency ratings than credit ratings. But implementing energy efficiency projects at the scale we need will require large sums of money moving through our financial system. Government programs are all well and good, but they are necessarily limited by the amount of money we can convince politicians to spend, and even the most generous programs can only scratch the surface. For example, the Department of Energy's Better Buildings program is aimed at retrofitting homes for energy efficiency and has been granted about $500 million for local and regional efficiency programs. But with over 100 million households in the nation, if we want to retrofit even a tiny fraction of those, say one percent, it will take 10 to 20 times more money than the DOE can put into it. If we want to make a dent in household energy efficiency, we will need to move large amounts of private capital. That money will not move unless the financials look good, because unlike the DOE, private investors are not in the habit of giving their money away without good prospects of getting it back with interest. One of the obstacles to getting home retrofits done is that, in relative terms, the up front costs of a project are pretty high. Doing a thorough energy audit and whole home retrofit can cost anywhere between five and ten thousand dollars. This is an expense in the neighborhood of buying a car, except that for many people, owning a car is essential for daily life, and a home retrofit isn't. Most people won't have that amount of cash on hand to spend on a project like this, and just like buying a car, they will need to finance some of all of the project costs. In the best case scenario, a homeowner would have access to some type of home equity loan or line of credit. Right now, these carry interest rates between four and five percent. Combined with the fact that the interest on these loans is usually tax deductible, this is a pretty affordable option. Unfortunately, many homeowners don't have ready access to home equity financing, and in the current environment of falling home values, many will be unwilling or unable to go through the process of getting it. At the other end of the interest rate spectrum is credit card debt. Most home owners have access to credit cards and might be able to put a project of this size on their cards, but average interest rates for credit cards and other so-called "unsecured consumer debt" is around 15 percent. Rates like this will make virtually any retrofit project uneconomical. Turning to a bank is not much better. From a bank's perspective, these loans look a lot more like unsecured consumer debt than anything else. Unlike a car loan, which you can get for about six percent if you have good credit, retrofit loans don't have anything the bank can repossess if you don't pay. Home equity loans have low interest rates because banks can put a lien on your house if you don't pay, so they can get paid back when you sell your house. Here, it's virtually impossible for a bank to come in and repossess your insulation or new windows, which makes the loan inherently more risky and the interest rate much higher. 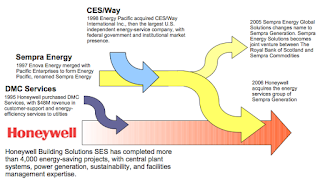 CAEATFA - California Alternative Energy and Advanced Transportation Authority - In the process of implementing a Loan Reserve Program for the state’s Property Assessed Clean Energy (PACE) financing program. In September of 2013, Governor Jerry Brown signed SB 96 into law, authorizing the California Alternative Energy and Advanced Transportation Financing Authority (CAEATFA) to establish a PACE Loss Reserve program. This program seeks to address FHFA’s concerns through the use of a reserve fund that would reimburse residential PACE programs for costs associated with keeping mortgage interests whole in the event of a foreclosure or forced sale. CAEATFA is proposing to adopt emergency regulations to establish the PACE Loss Reserve Program. CAEATFA published an initial draft of these regulations on January 16, 2014 and held a public workshop to gather input from stakeholders on January 24, 2014. After considering the comments received, CAEATFA published a revised draft of the regulations on February 3 for additional comments. The final draft of the proposed regulations, available below, balances stakeholders’ comments with the Program’s statutory, legal and administrative requirements. Community Solar Programs - Allow customers to purchase a share of a solar system and receive the benefits of the energy that is produced by their share. Existing programs range in size from 5 kW to 1 MW. ECM - Energy Conservation Measure - After installing energy conservation measures (ECMs), ESCOs often determine the energy savings resulting from the project and present the savings results to their customers. A common way to calculate energy savings is to measure the flows of energy associated with the ECM, and then to apply spreadsheet calculations to determine savings. For example, a chiller retrofit would require measurements of chilled water supply and return temperatures and kW. The benefit of this approach is that the ECM is isolated, and that only energy flows associated with the ECM itself are considered. EPC - Engineering, Procurement and Construction - Large system integrators that build utility-scale projects and work closely with project developers. Industry-leading PV module manufacturers with strong downstream focus – such as First Solar and SunPower – have been increasing their in-house EPC resources to help drive demand for their internal module supply. 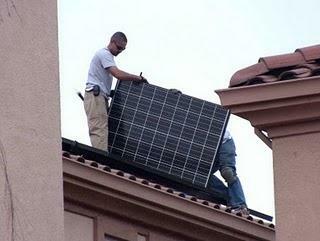 Some services that were previously confined to utility-scale and large non-residential systems are now being offered to residential systems, by companies such as SolarCity and SunRun. Options here include financing (PPA or leasing) and/or operation and maintenance (O&M). Reduction or elimination of the high upfront cost and “hassle-free” maintenance and repair offered by the third-party ownership models are infiltrating the residential market. ESA - Efficiency-Services Agreement - A pay-for-performance financing solution developed by Metrus Energy that allows customers to implement energy efficiency projects without any upfront capital expenditure. Through the ESA, Metrus pays for all development and construction costs. After a project is operational, the customer uses a portion of the cost savings associated with reduced energy consumption to make periodic service payments to Metrus. Like a typical utility bill, the ESA service payments are based on a measured quantity of energy units, i.e. kilowatt-hours of electricity and therms of natural gas. However, ESA service payments are based on energy units that are saved, enabling customers to treat energy efficiency as a resource that improves their bottom line and mitigates the environmental impact of their business. The price per unit of energy savings is an output-based charge that is set at or below existing utility prices, resulting in reduced operating expenses. ESCO - Energy Service COmpany - A commercial business providing a broad range of energy solutions including designs and implementation of energy savings projects, energy conservation, energy infrastructure outsourcing, power generation and energy supply, and risk management. The ESCO performs an in-depth analysis of the property, designs an energy efficient solution, installs the required elements, and maintains the system to ensure energy savings during the payback period. The savings in energy costs is often used to pay back the capital investment of the project over a five- to twenty-year period, or reinvested into the building to allow for capital upgrades that may otherwise be unfeasible. If the project does not provide returns on the investment, the ESCO is often responsible to pay the difference. ESCP - Energy Saving Performance Contract - Allows Federal agencies to accomplish energy savings projects without up-front capital costs and without special Congressional appropriations. An ESPC is a partnership between a Federal agency and an ESCO. The ESCO conducts a comprehensive energy audit for the Federal facility and identifies improvements to save energy. In consultation with the Federal agency, the ESCO designs and constructs a project that meets the agency's needs and arranges the necessary funding. The ESCO guarantees that the improvements will generate energy cost savings sufficient to pay for the project over the term of the contract. After the contract ends, all additional cost savings accrue to the agency. Contract terms up to 25 years are allowed. Federal Cash Grant - The expired federal Cash Grant significantly increased the uptake in residential leasing. In fact, the third-party ownership model now accounts for approximately half of the residential market in some key states such as California, Arizona and Colorado. Originally established in 2009, the Cash Grant was configured to be applicable only to tax-paying business entities. Therefore, residential PV owners were effectively ineligible for the Cash Grant. However, solar leasing companies or investors – as business taxpayers – could legitimately apply for a Cash Grant for residential systems by assuming direct ownership of the PV system. By accessing the benefits of the Cash Grant (and state incentives), solar leasing companies have been able to attract homeowners by indirectly passing on these benefits in the form of reduced monthly PV leasing payments. FHFA - Federal Housing Finance Agency - The Agency which oversees the lending activities of U.S. mortgage giants Fannie Mae and Freddie Mac. In July 2010 FHFA essentially put a halt to property assessed clean energy (PACE) financing for home retrofits and renewable energy projects in the U.S. by issuing guidance to lenders across the country stating that PACE programs are risky and inadvisable. FHFA said in the case of default, the liens would trump the bank mortgage, meaning banks would be at risk of losing more money. Alfred Pollard, general counsel for the FHFA, told the San Francisco Chronicle: "You can't just slap a first lien on a piece of property and say that there's no risk to the lender, particularly in this fragile market." The guidance reasserts a position taken by Fannie and Freddie in May 2010. Green Lease - One solution to the split incentive problem. Enables owners to spend money on efficiency improvements and recoup their costs by raising rent by the same amount as the realized energy savings, minus a smaller agreed on amount which gets passed on to the renter. In other words, if an efficiency investment to the renter’s unit generates $100 of monthly energy savings, the rent might go up $80 per month. Although the rent increases, the tenant’s total housing bill goes down by $20. It’s a win for both parties. The tenant would start saving money right away, and over time the landlord would recoup his initial investment (and even make money), through the higher rents. Plus, the tenant would be using less energy. A typical example might be a refrigerator replacement. A tenant has little economic incentive to buy a new efficient (and more expensive) refrigerator because he’s unlikely to be around long enough to recoup the extra upfront expense through reduced energy bills. And a landlord might think she’s better off buying the cheapest model she can find because she’s not paying the bills for the fridge’s operations. A green lease might fix this problem by allowing the landlord to increase rent enough to pay for a more expensive and efficient model, but because of the lower energy bills, the tenant would actually save money even after the rent increase. The challenge with green leases is creating a practical financing arrangement that doesn’t saddle landlords with too many headaches. And to make economic sense, efficiency investments would need to generate sufficient savings in a short enough time that the owner could pay back the bank, or herself, for the upfront cost of making the investment in the first place. So in order to know if an investment makes sense, both landlords and tenants will need a trustworthy assessment of the potential savings. Plus, they’ll need to resolve some other questions. What happens if the improvement fails to save the energy and money that it promises? What if it generates more savings? If green lease arrangements sound complicated, that’s because they are. Green leases are already used in the US and Canadian commercial real estate rental sectors, but they are not sweeping apartment rentals. The legal complexities can make green leases challenging and uncertain. And both landlords and tenants dislike uncertainty. Like other kinds of financing ideas, green leases are innovative and potentially promising, but they have yet to break through the barrier of the split incentive for multifamily rental buildings. IPP - Independent Power Producer - also: NUG - Non-Utility Generator - An entity, which is not a public utility, but which owns facilities to generate electric power for sale to utilities and end users. IPP's may be privately-held facilities, corporations, cooperatives such as rural solar or wind energy producers, and non-energy industrial concerns capable of feeding excess energy into the system. Prior to the US Public Utility Regulatory Policies Act (PURPA) of 1978, IPPs were rare, and the few that existed were seldom able to distribute power, as the cost of building the conveyance infrastructure was prohibitive. Public utilities generated power and owned the generating facilities, the transmission lines, and the local delivery systems. Congress Passed PURPA in 1978, establishing a class of non‐utility generators, called Qualifying Facilities (QF), which were permitted to produce power for resale. PURPA was intended to reduce domestic dependence on foreign energy, to encourage energy conservation, and to reduce the ability of electric utilities to abuse the purchase of power from QFs. A QF is defined as a generating facility that produces electricity and another form of useful thermal energy through the sequential use of energy, and meets certain ownership, operating, and efficiency criteria established by the Federal Energy Regulatory Commission (FERC). Section 210 of PURPA now requires utilities to purchase energy from IPPs which qualify (qualifying facilities) at the utility's avoided cost. This allows IPPs to receive a market price for the energy they produce and insures that energy generated by small producers won't be wasted. Inverted Lease - The developer or its affiliate will lease the project to a tax equity investor who then enters into a PPA or sublease with offtakers. Under special tax credit rules for leases, a lessor may elect to pass through the entire 30 percent energy tax credit (but not depreciation benefits) to the lessee. The developer lessor retains tax ownership and associated depreciation deductions. The tax equity investor usually makes a small pretax profit on the spread between the rent and the PPA payments and its rent obligation to the developer lessor. OBF - On-Bill-Financing - An electric utility offers upgrades to its small business customers and loans to pay for the upgrades. The energy savings are used to pay back the loan, so the monthly utility bill is no higher than it was before. When the loan is paid off, the customer's utility bill is permanently lower. After payback period all monthly savings goes to the business bottom line. PACE - Property Assessed Clean Energy - In areas with PACE legislation in place municipality governments offer a specific bond to investors and then turn around and loan the money to consumers and businesses to put towards an energy retrofit. The loans are repaid over the assigned term (typically 15 or 20 years) via an annual assessment on their property tax bill. PACE bonds can be issued by municipal financing districts or finance companies and the proceeds can be used to retrofit both commercial and residential properties. One of the most notable characteristics of PACE programs is that the loan is attached to the property rather than an individual. In areas with PACE (Property Assessed Clean Energy) legislation in place municipality governments offer a specific bond to investors and then turn around and loan the money to consumers and businesses to put towards an energy retrofit. The loans are repaid over the assigned term (typically 15 or 20 years) via an annual assessment on their property tax bill. PACE bonds can be issued by municipal financing districts or finance companies and the proceeds can be used to retrofit both commercial and residential properties. One of the most notable characteristics of PACE programs is that the loan is attached to the property rather than an individual. PACE emerged in 2008 with a pilot program in California and quickly caught the attention of communities around the country. In just two years, enabling legislation was passed in 23 and is being considered in nearly 20 more. Early California programs in Sonoma County and Palm Desert were soon followed by ones in Boulder County, CO and in Babylon, NY. Before programs were stopped by the Federal Housing Finance Agency (FHFA), Fannie Mae, and Freddie Mac, over 2,000 homes and commercial buildings had used PACE to finance efficiency and renewable energy projects. The thing that makes PACE so attractive is that the loan is ultimately secured by the value of your home, just like the money your borrowed to buy it in the first place. As you can imagine, mortgage bankers, who lent you that money in the first place are very interested in anything that might make those loans any more risky. Because the government is very good at making sure it gets paid, if you default on your mortgage and the bank sells the home in a foreclosure sale, any property taxes you owe get paid first before the bank does. First, and most obviously, if a home with a PACE loan goes into foreclosure, any money that goes to pay off the PACE loan comes out of the money that is owed to the bank. With the housing market the way it is, many homes going into foreclosure are worth less than what’s owed on them, and mortgage holders are already losing money on foreclosure sales as it is. A PACE loan would further reduce the amount of money available to pay the mortgage holder, making lenders even worse off. A second problem they saw was that, again with the economy and the housing market in such bad shape, adding PACE repayments to homeowners monthly mortgages might increase the probability that people would default on their mortgages. And while this ignores the fact that the whole point of the PACE program is to save homeowners money, making it easier for homeowners to take on even more debt might just be a bad idea on general principle. For all these reasons, FHFA issued a statement in July 2010 declaring the PACE financing programs violated standard mortgage agreements and instructed Fannie Mae and other mortgage lenders under its jurisdiction to use more restrictive lending guidelines in any municipality that enacted PACE legislation, even if no PACE loans have been made. This essentially killed the PACE program altogether. For over a century, municipalities have used property taxes and assessments to finance projects that achieve a broad range of public purposes established in laws enacted by our elected state and local representatives. Like all municipal assessments, PACE assessments in arrears have a senior lien to mortgage payments in the event of a default. Recognizing this, PACE advocates began a dialogue in 2008 with Fannie Mae, Freddie Mac, and their regulator, the Federal Housing Finance Agency (FHFA) to find ways to address their concerns. 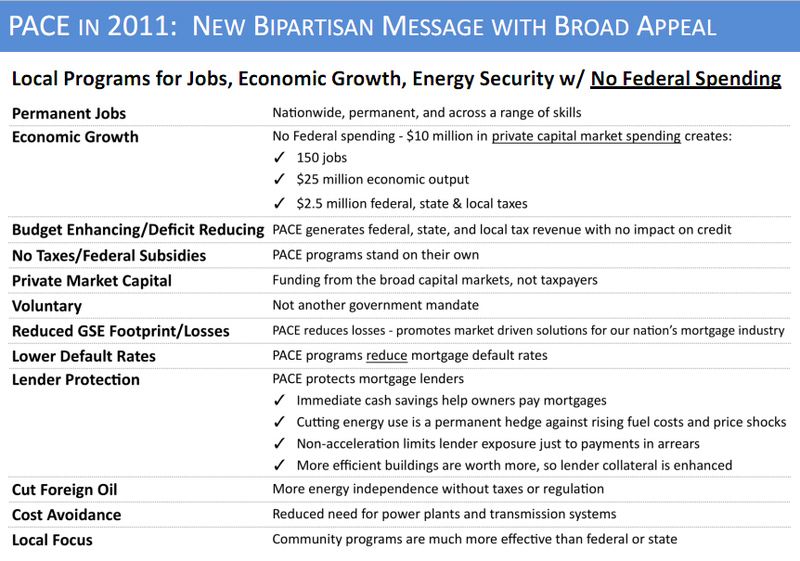 Broad safeguards were developed as program guidelines by a working group that included the U.S.Department of energy to ensure that PACE programs would be beneficial to building owners, municipalities, and mortgage lenders. 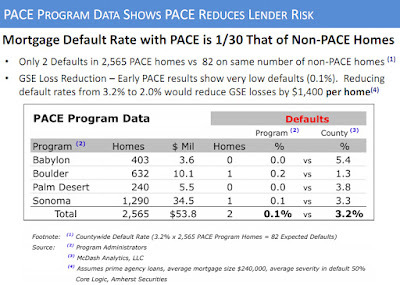 Despite the fact that FHFA raised some legitimate concerns about PACE programs, many people, think these could have been addressed through something other than the nuclear option that FHFA deployed. Had FHFA come to the table in problem-solving mode, some reasonable solutions could have been found, like restricting PACE financing to homeowners with enough equity in their homes to cover their mortgages plus whatever PACE would have added, plus a margin of error. Unfortunately the regulators at FHFA approached PACE as a fundamental threat to the residential mortgage market and killed it. Notwithstanding these measures, on July 6, 2010, the FHFA issued a statement that directed Fannie Mae and Freddie Mac not to underwrite mortgages for properties with a PACE assessment. It further directed mortgage lenders to redline communities with PACE programs by tightening lending standards (which, ironically, has the effect of reducing property values in such communities, devaluing lenders’ collateral). FHFA based its action on two astonishing claims. PACE benefits, articulated and codified by state and local governments in 23 states, do not meet a valid public purpose. 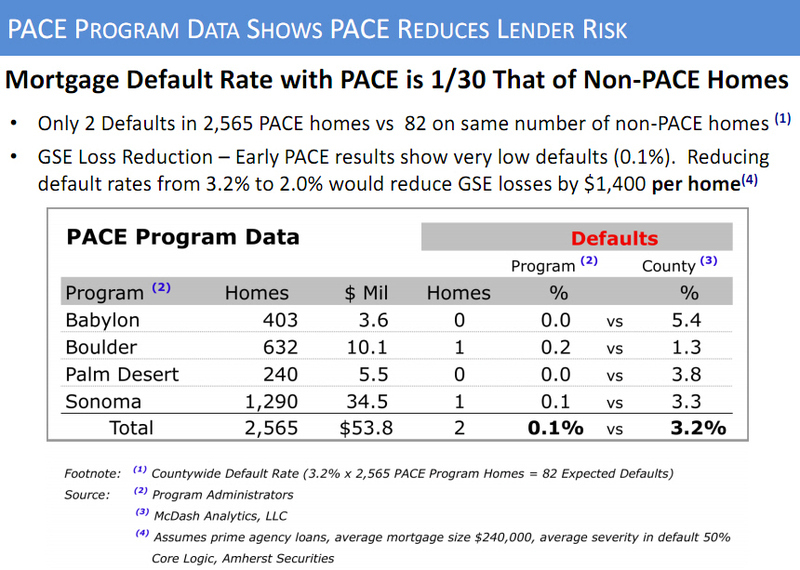 PACE program defaults, estimated to be no more than $200 per average home, raise concerns with regard to the safety and soundness of the mortgage industry. PACE still exists in a few places where the legislation explicitly made repayment a second priority behind the mortgage in a foreclosure sale. In these cases, since the mortgage gets paid before the PACE assessment, FHFA and the banks don’t mind so much and are willing to let it go. But of course, this undermines one of the great benefits of PACE programs in the first place, the fact that the loans are secured by the equity in the house. Home retrofit lenders don’t want to be put second in line for repayment any more than FHFA does, and in this market, being second in line provides very little security, eliminating much of the benefits that PACE programs were meant to provide, sending us back to square one. Partnership Flip Transaction - The developer forms an LLC to construct the project and enter into a PPA or lease to an offtaker. Just before COD, the developer typically sells an interest in the LLC project company to a tax equity investor or investors. Since the LLC then will have two owners and it is generally treated as a flow-through entity for tax purposes, the LLC becomes a tax partnership and the developer and the tax equity investor then become partners in a tax partnership. Under special allocation tax rules set forth in IRS guidelines and/or regulations, most (in many cases as high as 99 percent) of the tax credit and tax losses of the partnership are allocated to the tax equity investor for the period during which the project generates tax losses, usually five years to seven years, after which the allocations “flip” with the majority of future taxable income allocated to the developer (the “flip date”). PPA - Power Purchase Agreement - Contracts between two parties, one who generates electricity for the purpose of sale and one who is looking to purchase electricity. Financing for the project is delineated in the contract, which also specifies relevant dates of the project coming into effect, when the project will begin commercial operation, and a termination date for which the contract may be renewed or abandoned. All sales of electricity are metered to provide both seller and buyer with the most accurate information about the amount of electricity generated and bought. The PPA is often regarded as the central document in the development of independent electricity generating assets (power plants), and is a key to obtaining project financing. By clearly defining the output of the generating assets (such as a solar electric system) and the credit of its associated revenue streams, a PPA can be used by the PPA provider to raise non-recourse financingfrom a bank or other financing counterparty. Electricity rates are agreed upon as the basis for a PPA. Prices may be flat, escalate over time, or be negotiated in any other way as long as both parties agree to the negotiation. A PPA will often specify how much energy the supplier is expected to produce each year and any excess energy produced will have a negative impact on the sales rate of electricity that the buyer will be purchasing. This system is intended to provide an incentive for the seller to properly estimate the amount of energy that will be produced in a given period of time. PPA's are differentiated by the source of energy harnessed. SPPA - Solar Power Purchase Agreement - In the United States, the SPPA depends heavily on the existence of the solar investment tax credit, which was extended for eight years under the Emergency Economic Stabilization Act of 2008. The SPPA relies on financing partners with a "tax appetite," profits that are subject to taxation, who can benefit from the federal tax credit. Typically, the investor and the solar services provider create a special purpose entity that owns the solar equipment. The solar services provider finances, designs, installs, monitors, and maintains the project. As a result, solar installations are easier for customers to afford because they do not have to pay upfront costs for equipment and installation. Instead, customers pay only for the electricity the system generates. With the passage of the American Recovery and Reinvestment Act of 2009 the solar investment tax credit can be combined with tax exempt financing, significantly reducing the capital required to develop a solar project. WPPA - Wind Power Purchase Agreement - Not found quite as prolifically as their solar counterparts, but they do exist. Wasatch Wind in Wyoming entered into a twenty year WPPA with PacifiCorp in July 2010 for its Pioneer Wind Park. Federal PPAs - Current law restricts most of the Federal government of the United States from entering into a contract longer than ten years. PPA contracts, particularly for larger systems, need at least a 20 year term. In 2009, the Senate Committee on Energy and Natural Resources passed S. 1462, which among other things, would have allowed federal agencies to enter into power purchase agreements for renewable energy for up to 30 years. 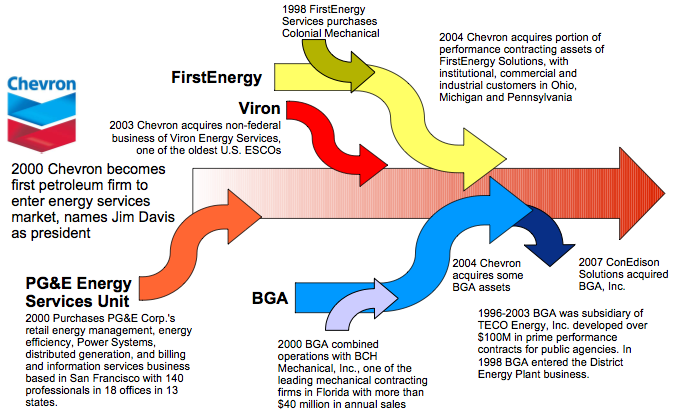 However, the DOD has a separate authority to enter into energy contracts for as long as 30 years. Using this authority, the Navy recently signed a renewable energy project for Marine Corps Air Station Miramar and the Nellis AF Base Solar Power Plant generates 30 million KWh of electricity per year—equivalent to a quarter of the total power used at the 12,000-person base. Are there any costs to buy out the lease or PPA early? What is the implicit interest rate that the homeowner is paying in the PPA? What happens if the homeowner needs a new roof and the system needs to be moved? Whose responsibility is it to restore the roof and replace shingles or tiles if the homeowner decides to have the system removed at the end of the term? What happens if the homeowner sells their home? What if someone who wants to buy the house but doesn’t qualify to assume the lease/PPA? What if someone who wants to buy the house but doesn’t want the solar system? Does the company provide production guarantees? Is the homeowner responsible for any of the maintenance or monitoring? Could the system be repossessed or removed if the PPA/leasing company gets into financial trouble? PPP - Public Purpose Program - In California, a portion of the amounts collected through utility rates funds important public benefit programs. Such programs range from assistance to low income customers, in the form of rate discounts (California Alternate Rates for Energy) and energy efficiency and conservation programs targeting such households, to broader support for energy efficiency and renewable energy program. QECB - Qualified Energy Conservation Bonds - Federally-subsidized debt instruments for state and local governments - The Energy Improvement and Extension Act of 2008 authorized the issuance of QECBs that may be used by state, local and tribal governments to finance certain types of energy projects. QECBs are qualified tax credit bonds, and in this respect are similar to new Clean Renewable Energy Bonds or CREBs. The October 2008 enabling legislation set a limit of $800 million on the volume of energy conservation tax credit bonds that may be issued by state and local governments. The American Recovery and Reinvestment Act of 2009 expanded the allowable bond volume to $3.2 billion. Subsequently, H.R. 2847 enacted in March 2010 introduced an option allowing issuers of QECBs and New CREBs to recoup part of the interest they pay on a qualified bond through a direct subsidy from the Department of Treasury. With tax credit bonds, generally the borrower who issues the bond pays back only the principal of the bond, and the bondholder receives federal tax credits in lieu of the traditional bond interest. The tax credit may be taken quarterly to offset the tax liability of the bondholder. The tax credit rate is set daily by the U.S. Treasury Department; however, energy conservation bondholders will receive only 70% of the full rate set by the Treasury Department under 26 USC § 54A. QECB rates are available here. Credits exceeding a bondholder's tax liability may be carried forward to the succeeding tax year, but cannot be refunded. Energy conservation bonds differ from traditional tax-exempt bonds in that the tax credits issued through the program are treated as taxable income for the bondholder. Only ~10% issued to date. They have extremely attractive terms. ~2% interest over 10-15 years typical. Bond proceeds must be used for qualified public purposes, but commercial building upgrades may qualify as having a "public purpose‟ in Boulder County, CO.
SAVE Act - The Sensible Accounting to Value Energy Act - Legislation to improve the accuracy of mortgage underwriting used by federal mortgage agencies by including a home's expected energy cost savings when determining the value and affordability of energy efficient homes. Utility bills are usually larger than either real estate taxes or homeowners insurance, but they are currently ignored in mortgage underwriting. Included by the Senate in Amendment 3042 to the Energy Policy Modernization Act of 2016. Specifically, the SAVE Act directs the Department of Housing and Urban Development (HUD) to issue guidelines for the Federal Housing Administration (FHA) to account for the expected energy cost savings in determining the debt-to-income ratio and loan-to-value ratio. As a result, high-performing homes will be appraised at a higher value and be more affordable to the homeowner—with no cost to taxpayers. Shared Savings Contract - The dollar value of the measured energy savings is divided between the building owner and ESCO. If no energy cost savings are realized, the owner continues to pay the energy bill, but does not incur any expense to the ESCO for that period. In the “paid from savings” contracts, the building owner pays the ESCO a predetermined amount each period (for example, an amount equal to 80% of the expected energy bill had the improvements not been made). Under “guaranteed savings” contracts, the ESCO guarantees that energy cost savings will exceed an agreed upon minimum dollar value. To ensure a positive cash flow to the owner during the ESPC term, the guaranteed minimum savings typically equals the financing payment for the same period. ESCO pricing often includes a fee that covers on-going monitoring, measurement and verification costs and a premium for assuming underperformance risk. Sale Leaseback - the developer enters into a PPA or a lease with the offtaker, such as a utility, commercial building owner or residential customer, before the commercial operation date (COD). The developer then sells the entire project to the tax equity investor at COD. The tax equity investor then leases the property back to the developer so that the developer is then the lessee under the lease from the tax equity investor and is also the service provider under the PPA or the sublessor to the offtakers (a “head lease/sublease”). The tax equity investor claims tax ownership and the entire 30 percent energy tax credit and all tax losses from the project. It receives rent from the developer lessee, some portion of which may be prepaid by the developer from its sale proceeds. Normally, the tax equity investor will have a security interest in the developer sublessor’s PPA or sublease in order to secure the performance by the lessee developer of its rent obligations under the head lease. Solar Lease - Allows a customer to make a monthly payment over a fixed term, like 5, 10, or 15 years. At the end of the term the homeowner will have the option of paying for the remaining value of the system or having it removed. Interest is charged on the balance of the value of the solar system for the duration of the lease. In both a lease or power purchase agreement, the company receives both the tax credit and any state rebates. Tax Equity Investor - In order to make solar projects economically viable, Congress enacted energy tax credit and grant programs as well as favorable depreciation rules. For solar projects developed through 2016, the credit (or the grant for those projects eligible) is 30 percent of the eligible purchase price of the project. Five-year MACRS accelerated tax depreciation deductions are also allowed on that cost. The upfront capital requirements for Energy Efficiency and Renewable Energy projects is often to high for consumer to pay with cash on hand or businesses to including in operating budgets, but getting financing for these projects can be difficult. This leaves the retrofit and renewable energy markets in something of a bind. Fortunately, the situation is not impossible, and there are a few proposals and finance vehicles designed to offer a way out of this bind. More Jobs - University of Massachusetts at Amherst economic researchers developed employment estimates for various energy sources, including energy efficiency strategies. Their data show that investments in energy efficiency creates 2.5 to four times more jobs than that for oil and gas development and renewables create 2.5 to three times more jobs than that for oil and gas development. New homes with PV demonstrating average premiums of $2.3 to 2.6/watt, while the average premium for existing homes with PV being more than $6/watt. The report offers a number of possible explanations for why this disparity might exist, including differences in the underlying net installation costs for PV systems between new and existing homes. Additionally, new home builders may gain value from PV as a market differentiator, and have therefore often tended to sell PV as a standard (as opposed to an optional) product on their homes and perhaps been willing to accept a lower premium in return for faster sales velocity and decreased carrying costs. The report is here, and the executive summary for non-math majors is here. Competition - By emphasizing services specific to “electricity delivery,” solar service providers often take a technology- and/or brand-agnostic approach and subsequently identify the lowest module vendors to sell through. Cost Effectiveness of ESPC's - A 2005 GAO Study disclosed ESPCs in which unfavorable contract terms, missing documentation, and other problems caused GAO to question how consistently savings cover costs. Furthermore, differing interpretations of the law establishing ESPCs about what components of costs must be paid for from the savings generated by the project or may be paid for using other funding sources have contributed to uncertainties about whether savings are appropriately covering costs. Split Incentives - Owners don’t make efficiency investments because it’s the renters who pay the energy bills. And renters don’t make investments in property they don’t own. The result is housing that wastes energy and costs more than it should. Lack of Technical Expertise - Even if a building owner is personally interested in energy efficiency, she is likely unsure whom to trust. Shopping for energy-using devices isn’t a weekly chore, like picking up groceries. It’s rare, the vendors tend to be specialized, and many of the devices must be installed by specialized tradespeople. Not all such tradespeople are reputable and reliable. Most small building owners are not general contractors, engineers or architects. How are they supposed to make informed decisions about such things. Public Fund Leverage - The majority of current programs remain focused on the provision of either direct loans or grants, often with limited requirements to leverage additional funding. Long Term Commitment - To-date, the majority of ESCO work has been performed in the Municipal, University, Schools and Hospital (MUSH) market, principally because the ESCO business model is based on large, long-term ESPC contracts and significant government funding is available. It requires clients like MUSH owners who typically have very large energy efficiency retrofit projects (for example, involving multiple buildings on a university campus) and are committed to operate their properties for relatively long time spans. Commercial Investment /Multi-Tenant Market - While ESCOs have made some progress in the owner-occupied segment of the CRE industry, this has not been the case in the multiple tenant segment (or the traditional CRE investment sector), where building turnover is much more frequent and often opportunistic, i.e., on average every 4–7 years. Sacramento Municipal Utility District (SMUD), California - Solar Shares Program - SMUD retires associated Renewable Energy Certificates (RECs) on behalf of the customers, and cannot resell them, so that participating homes are truly solar powered. St. George, Utah - SunSmart - A community solar farm built by the City of St. George Energy Services Department and Dixie Escalante Electric. The program itself is simple, with no set-up, no maintenance and no risk to the purchaser. Purchasers of SunSmart will own the unit for a minimum of 19 years, equivalent to the life of an average solar panel. After 19 years, the panels will be evaluated to determine if they need to be replaced or repaired and how much it would cost to do so. This type of program is so innovative that legislation on a federal tax credit has not been created yet. Bainbridge Island, Washington - Community Energy Solutions - The founders realized that many residents on Bainbridge Island lack the optimal site for investing in PV. Thus, they devised a plan to aggregate citizen investments and install a single Community Solar system on a public building. This community ownership concept, however, did not benefit from the Washington State Production Incentive at that time (2008), as this incentive program required single ownership of a PV system at a single meter (Washington SB 6170, passed in May 2009 and effective July 1, 2009, enables CommunitySolar projects to qualify for the incentive. Florida Keys Electric Coop, Florida - Simple Solar Program - Co-op members who support alternative energy but don't want the hassle of designing, permitting, building, maintaining and insuring their own residential solar arrays can now lease panels in FKEC's existing array. In return for leasing one or more panels for $999 each, members receive monthly bill credits for the full retail value of the electricity generated by their leased panel(s) for 25 years. One of the major advantages of the program is that FKEC will maintain the solar array so the consumer only pays the one-time cost of the panel. Each 175-watt panel will generate around $36 in bill credits in the initial year. Assuming a 3% annual increase in the retail price of electricity, the $999 investment per panel should return about $1,280 in total credits. Holy Cross Energy, Colorado - Clean Energy Collective - Residential and commercial customers can purchase shares (watts) of the solar array upfront at a cost of $3.15 per watt ($3,150 per kilowatt). Community owners will then receive a credit on their bill each month at a rate of $0.11 per kilowatt-hour (kWh). The kWh production owners are credited with is based on the actual production by the number of how many watts each member owns. Because operation and maintenance costs of the 80 kW solar array in El Jebel, Colorado are included in the upfront cost, owners will receive the monthly benefits for a term of 50 years. The CEC’s proprietary RemoteMeter™ system automatically calculates monthly credits for members and integrates with utilities’ existing billing system. Seattle City Light - Community Solar - Beginning in June 2011, on a first-come, first-serve basis, up to 500 City Light customers will be able to purchase a portion of the solar energy generated by new solar picnic shelters at Jefferson Park. Customers can buy into the community solar project for $600 per portion (limit 2 portions per participant). Participants will receive an annual bill credit for the electricity generated by their portion of the community solar project. They may also be eligible for production incentives over the course of the nine year project term. In partnership with Seattle Parks and Recreation, City Light has designed innovative picnic shelters with roofs made of solar panels to be installed at Jefferson Park this summer. The new solar picnic shelters will provide park goers a place to enjoy the park while generating approximately 24,000 kilowatt-hours of clean electricity annually for community solar program participants. CSI - California Solar Initiative - The CSI Program has a budget of $2.167 billion over 10 years, and the goal is to reach 1,940 MW of installed solar capacity by the end of 2016. The goal includes 1,750 MW of capacity from the general market program, as well as 190 MW of capacity from the low income programs. 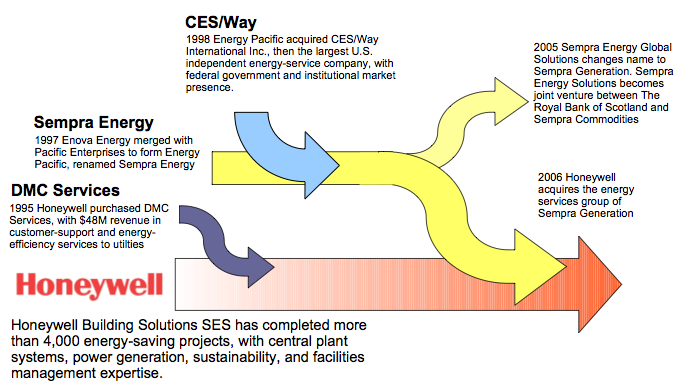 The general market program is the main incentive program component of the CSI, and is administered through three Program Administrators: PG&E, SCE, and California Center for Sustainable Energy (CCSE) in SDG&E territory. The first step in applying for CSI incentives is to complete a energy efficiency audit. 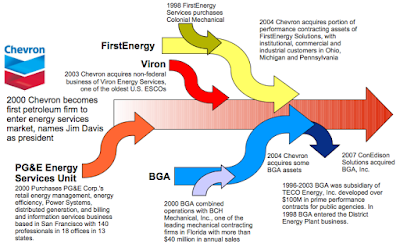 (See my blog article Energy Audit. Energy-saving actions are the best way to save energy, reduce your energy bills and provide real, lasting benefits to the environment. Plus, the size solar system needed is reduced, saving thousands in up-front installation costs. The CSI Program is designed to be responsive to economies of scale in the California solar market – as the solar market grows, it is expected solar system costs will drop and incentives offered through the program decline. The CPUC divided the overall megawatt goal for the incentive program into 10 programmatic incentive level steps, and assigned a target amount of capacity in each step to receive an incentive based on dollars per-watt or cents per-kilowatt-hour. 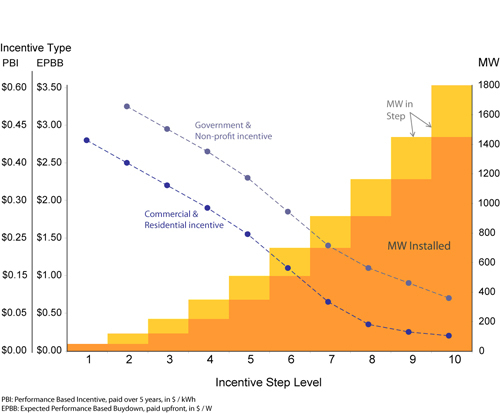 The MW targets in each incentive step level are assigned to particular customer classes (residential, commercial, and government / non-profit) and allocated across the three IOU service territories, in proportion with each group’s contribution to overall state electricity sales. CEFIA - Connecticut Clean Energy Finance and Investment Authority - In June 2011, Senate Bill 1243, passed into law revamping the state’s existing clean energy fund to become a green bank which will leverage government dollars to provide low-cost financing to clean energy projects and increased financing to energy efficiency initiatives. It will also allows municipalities to create PACE programs to finance efficiency retrofits and clean energy systems. PACE programs have stalled in the US due to the objections of federal regulators, who said PACE bond repayments must be subordinate to the mortgages issued by mortgage giants Fannie Mae and Freddie Mac in the event of foreclosure. The Connecticut bill states that PACE liens do not have priority over existing mortgages. Additionally, the legislation creates a portfolio of incentives for clean energy and efficiency projects, including a renewable energy credit incentive programme supporting construction of hundreds of megawatts of small scale renewable energy systems. The bill also establishes the new Department of Energy and Environmental Protection, combining two existing state departments to allow for more effective coordination of state energy and environmental policies. 1BOG - One Bock Off the Grid, San Francisco - Makes it easier and more affordable for homeowners to go solar by organizing group discounts, vetting solar installers, and providing objective information and advice along the way. 1BOG has partnered with PPA providers in some areas, so their customers can get 15% off the cost of solar panels for their home in addition to PPA financing. Ameresco, (NYSE: AMRC) Framingham, Mass (Wikipedia)- The largest independent energy services company in North America. It has participated energy projects in the government, healthcare, public, and education sectors. Ameresco claims experience in demand-side management, energy savings performance contracts, cogeneration facilities, renewable energy sources, energy procurement, risk management, billing services and power plant development, financing, construction and operations. 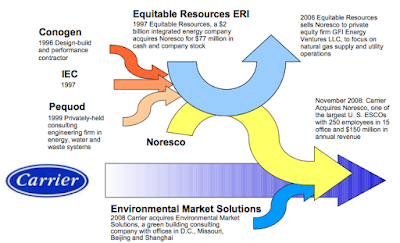 Carrier, a unit of United Technologies Corp. (NYSE:UTX), - Acquired Noresco in Nov 2008, one of the last independent U.S. ESCOs, previously a subsidiary of Equitable Resources Inc.
CES - Chevron Energy Solutions, San Ramon, CA - With the 2000 acquisition of the PG&E Energy Services Unit, Chevron Energy Services has become the first energy company to enter the ESCO market. Honeywell Building Solutions SES A large ESCO that has completed more than 4,000 energy-saving projects, with central plant systems expertise, power generation, sustainability, integrated design, day-lighting, materials selection, indoor environmental quality, and facilities management expertise. In 2006, Honeywell acquired the energy services group of Sempra Generation. Metrus Energy, San Francisco - Founded 2009 - Provides capital, project development and asset management services for energy efficiency projects at large commercial, industrial and institutional facilities. Metrus offers comprehensive project financing solutions, including its Efficiency Services Agreement (ESA), whereby customer repayment is based on a cost per avoided unit of realized energy savings. For some commercial building owners, the problem isn't finding the money to pay for upgrades—it's losing the opportunity to use that cash for their core business. Metrus Energy Inc. an ESA that gets around that issue. For the life of the deal, Metrus owns the new energy-efficiency equipment, not the building owner. Under the Metrus model building owners maintain responsibility for payment of their reduced utility bills (which directly benefits tenants in a multi-tenant property) and pay Metrus’s fee (which is a pass-through operating expense paid by the tenant) out of the delivered energy savings. The Metrus fee is structured as a per unit-saved payment (i.e., a price per avoided kilowatt hour of electricity and/or avoided therm of natural gas), where the price for energy unit savings is set at a level below the prevailing utility price per unit of energy consumption. This arrangement establishes energy efficiency as a resource and is akin to a solar power purchase agreement, where the customer has no project performance or technology risk and pays only for realized, measured and verified energy savings. Metrus retains ownership of all project-related assets for the duration of the ESA term. At the end of the contract period, clients can purchase the equipment for fair market value. Metrus works with ESCO partners and typically prefers clients to have approximately $1 million or more in combined electricity and natural gas costs annually. Their energy efficiency projects typically have a payback period in the 3-7 year range. Metrus’ business model also can include energy savings insurance. To date, Metrus has focused principally on owner-occupied buildings. SCIenergy, Inc. - San Francisco - A global leader in providing cloud-based energy management solutions for building owners and operators. In March 2012, SCIEnergy announced it has successfully completed the acquisition of Transcend Equity, a leader in delivering energy saving retrofits for commercial buildings. As part of the deal, SCIenergy will maintain a joint venture agreement with Mitsui & Co. (U.S.A.), Inc., a leading trade and investment company and committed capital partner of Transcend Equity. Under the Transcend model, building owners pay Transcend a service fee based on historical energy costs. Transcend, in turn, pays the utility bill and earns its fee from savings generated by the efficiency improvements. The Transcend fee becomes an operating expense (pass-through to tenants) that replaces the utility bill and the building owner incurs no debt. At the end of the ESA term (typically 5-10 years), title associated with the improvements passes to the owner. If the building is sold, the contract can be assigned to the new owner (or terminated if preferred). Transcend will typically enter contracts where they envision at least a 25% savings on the current utility bill. The company’s ideal customer has a minimum aggregate space of 250,000 square feet, associated with one or more buildings. This is a relatively large building or complex. Sun West Mortgage Company - Cerrito CA - On May 15, 2012, Sun West announced it has teamed with the Electric & Gas Industries Association (EGIA) to offer homeowners’ access to the new Federal Housing Administration (FHA) sponsored PowerSaver Loan Program. Sun West is now accepting applications over the phone at (866) 7403677 or on the web at www.powersaverloan.com. Assumptions: Rates based on $25,000 loan amount, LTV=<90%, no closing costs to borrower (closing costs paid via Sun West through federal grant), 7 day lock period, rates subject to change without notice. Regulatory agencies like the FHFA are obliged to conduct rulemaking process before announcing a new regulation. It is a process designed to allow public comment and open access to the proposed rulemaking records. In the case of PACE, in July 2010, the FHFA released a Statement on Certain Energy Retrofit Loan Programs, which put a hold on residential PACE programs. Consequently, in August 2011, the United States District Court for the Northern District of California provided that the agency must undertake a formal rulemaking process. There are four steps to a rulemaking process and the first public comment step was closed March 26, 2012. The agency received hundreds of comments and tens of thousands of form letters submitted though the FHFA rulemaking portal. The next step is for the FHFA to issue a proposed rule and then supporters will have another opportunity to comment and voice support for PACE. After a 30-day commenting process, the FHFA will issue a final rule and publish its official response to issues raised during the commenting process. The FHFA claims that the court did not have jurisdiction to rule in this case. The agency appealed the ruling. If the appeal is successful, then the rulemaking process will be voided. If the appeal is unsuccessful, the rulemaking process will continue. The agency is required to weigh all comments and perfom a thorough analysis of benefits involved in PACE programs. Additionally, as provided in the National Environmental Policy Act, the court ruled that the FHFA must conduct an Environmental Impact Assessment to assess the impact of freezing residential PACE programs. 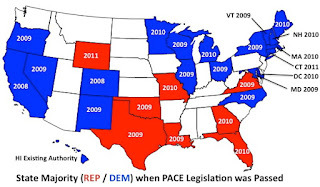 HR 2599 - The PACE Assessment Protection Act of 2011 - Congressional Press Release - Introduced July 20, 2011in the House of Representatives by Congresswoman Nan Hayworth (R-NY) and Congressmen Dan Lungren (R-CA) and Mike Thompson (D-CA). To prevent Fannie Mae, Freddie Mac, and other Federal residential and commercial mortgage lending regulators from adopting policies that contravene established State and local property assessed clean energy laws. The Bill has bipartisan support with 53 co-sponsors, nearly an even mix of Republicans and Democrats. However, only 2 new co-sponsored have been added so far in 2012 and the last action w as August 22, 2011 when it was referred to House Insurance, Housing and Community Opportunity subcommittee. Undo the damage: Rescinds 2010 guidance from FHFA, OCC, Fannie, Freddie and affirms validity of assessments. Prohibits discrimination against homeowners and communities with PACE. PACE lien does not accelerate in event of default. Only the amount of unpaid assessments have a senior lien (typically 1 year of payments out of a total of 15 years). As with all other benefit assessments, the remaining PACE balance of future payments would be assumed by the new home purchaser. This modification reduced PACE senior lien exposure from the full balance of the retrofit (approximately $15,000 on average) to only the delinquent back payment (approximately $1,500). Projects capped at 10% of home value. Homeowner must have solid property tax payment history. Develop Secondary Market for “Unsecured” Financing. Create system for home energy loans that looks like auto loans and credit card receivables with standardized underwriting, reporting, and project requirements. “WHEEL” program based on Pennsylvania's Keystone HELP scheduled to launch mid-2011 is a promising approach. FHA Power Saver Pilot Project - In April 2011, HUD announced 18 national, regional and local lenders will participate in a new two-year pilot program that will offer qualified borrowers living in certain parts of the country low-cost loans to make energy-saving improvements to their homes. Options are limited for financing improvements, especially for the many homeowners who are unable to take out a home equity loan or access an affordable consumer loan. PowerSaver will give more homeowners the ability to live in greener homes. make energy improvements of their choice, based on a list of proven measures developed by FHA and the U.S. Department of Energy (DOE). Examples of eligible improvements include insulation, duct sealing, energy efficient doors and windows, energy efficient HVAC systems and water heaters, solar panels and geothermal systems. FHA encourages consumers to utilize an ENERGY AUDIT audit to determine the most cost effective improvements for their home. mortgage or deed on the home that is subordinate to any existing first mortgage. PowerSaver loans will be backed by the FHA – with significant “skin in the game” from private lenders. Federal mortgage insurance will cover up to 90 percent of the loan amount in the event of default. Lenders will retain the remaining risk on each loan, incentivizing responsible underwriting and lending standards. FHA will provide streamlined insurance claims payment procedures on PowerSaver loans. In addition, lenders may be eligible for incentive grant payments from FHA to enhance benefits to borrowers, such as lower interest rates. Borrowers must have credit scores of at least 660 and their total debt to income ratios cannot exceed 45 percent. The combined loan-to-value ratio for all loans on a home, including the PowerSaver loan, cannot exceed 100 percent. Participating lenders will be required to target markets that have already taken affirmative steps to expand home energy improvements. HUD Green Refinance Plus - In Jun 2011, the U.S. Housing and Urban Development Department (HUD) announced a new refinancing program that could boost energy efficiency in older affordable housing. Owners of older multifamily affordable properties often find it difficult to get financing to maintain or improve the physical condition of their properties, including making energy-efficient upgrades. Owners of newer properties typically refinance their mortgages every 10-15 years to make improvements. FHA and Fannie Mae will share the risk on loans to refinance existing rent-restricted projects, and owners will be able to borrow additional funds to make energy- and water-saving improvements to their properties. Fannie Mae and its participating lenders will begin accepting applications soon. The initiative is intended to refinance the expiring mortgages of Low Income Housing Tax Credit properties, and other affordable projects, and to lower annual operating costs by reducing energy consumption. FHA has been under intense criticism from energy efficiency and renewable energy advocates over the last year after killing PACE, a popular program for financing home energy improvements. IMT - The Institute for Market Transformation- founded in 1996, is a Washington, DC-based nonprofit organization promoting energy efficiency, green building, and environmental protection in the United States and abroad. The prevailing focus of IMT’s work is energy efficiency in buildings. Activities include technical and market research, policy and program development, and promotion of best practices and knowledge exchange. In particular, IMT aims to strengthen market recognition of the link between buildings’ energy efficiency and their financial value. To download PaceNow's talking points in PDF for the FHFA rulemaking click here. In June 2005, the GAO released a report, “Energy Savings: Performance Contracts Offer Benefits, But Vigilance Is Needed To Protect Government Interests.” The GAO ESPC study brings into question whether or not there is sufficient data to prove that the gains delivered by ESCOs are sustainable over time. The study further questions the practice of having ESCOs monitoring and validating the performance of their own projects. National Association of Energy Services Companies (NAESCO) publishes The Energy Efficiency Project Manual: The Customer's Guide to Upgrading Equipment While Reducing Facility Operations and Maintenance Costs through Energy Efficiency Contracting. It is a "how to" guide that covers techniques for financing and technical terms used in the contractual process. The Manual includes sample requests for quotation (RFQ's) and requests for proposals (RFP's), as well as standard contractual provisions. The 102 page manual is available from NAESCO (www.naesco.org/bookstore) for $40. These securities are typically divided into several classes, or bond tranches, that have differing levels of credit tolerances and typically contain at least one class of investment-grade bonds. Thanks for sharing it. It's really nice post. I found some informative stuff on commercial solar ppa & solar panel installation company. I hope, you like it.